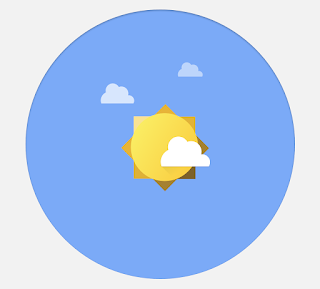 To get started, you'll need to log into your Google Apps account and click on Documents. 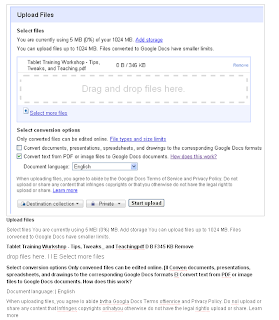 Select your PDF file to upload and (this is important) check the box where it says "Convert text from PDF or image files to Google Docs Documents." 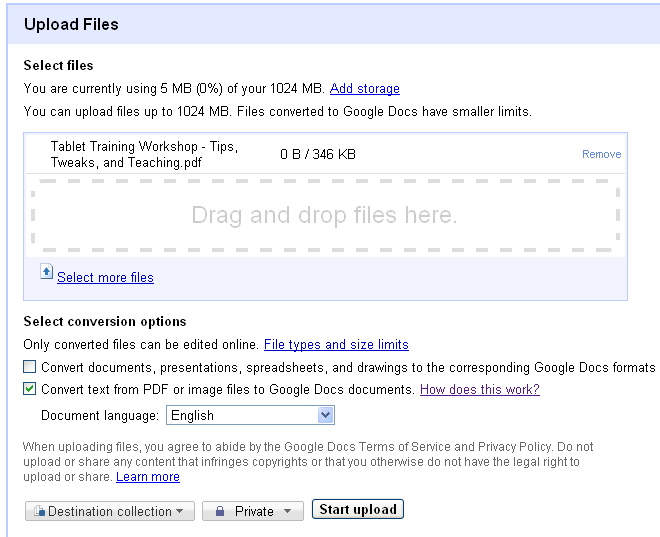 Next, click on Start Upload, and wait for the link to your Google Doc to appear. The process is a bit longer than the regular "Word to Google Doc" conversion, but most multi-page documents I tried were converted in under a minute. Google Docs uses Optical Character Recognition (OCR), and anyone familiar with using a traditional flatbed scanner will recognize the OCR acronym as this was commonly used when users wished to convert a scanned document into editable text. 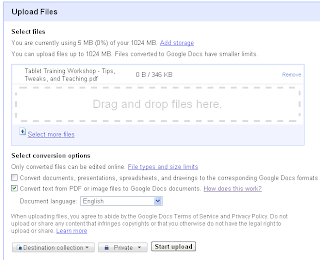 Thus, what's really cool is that Google Docs will attempt to handle .jpg, .png, .gif files in addition to PDFs. Of course, the conversion depends partly on the quality of the PDF, and keep in mind that we are converting text from the PDF and not the images. Thus, there will be large gaps where the images may have been, special formatting including indents and paragraphs may be missing, and the OCR program does not do well with headers and footers. Still, when focusing on text and text only, Google did a fine job. 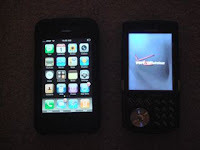 Testing the converter with an image worked as well as seen in the screen shot. I liked how Google includes an image of the original above the editable text, thus allowing you to see where it had any trouble and thus enabling you to make edits on the spot. There are plenty of times when teachers find themselves in situations where it would be useful to copy/paste a selection of text from a PDF. This could be a scanned test or assignment that predates access to computers or something that they no longer have electronic access to. 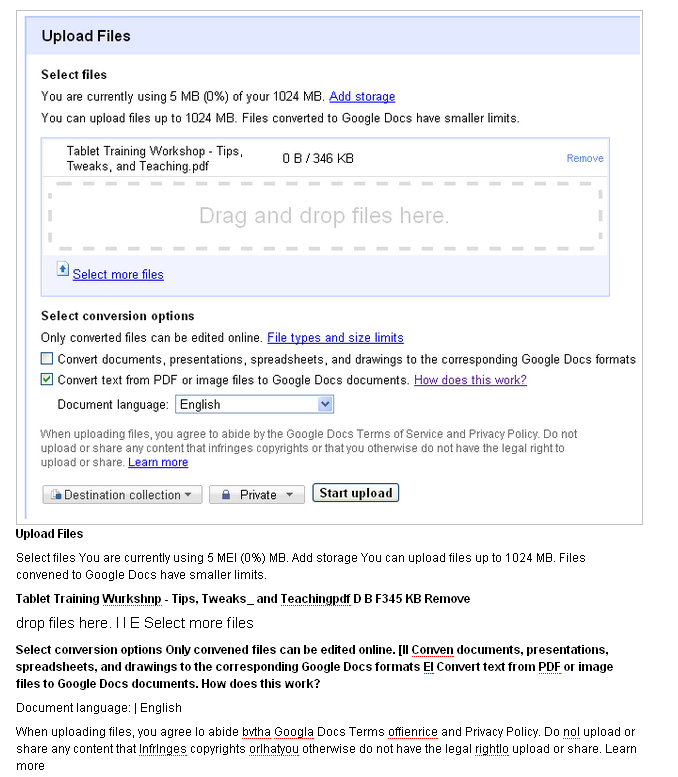 The option to convert text from a PDF or an image file such as JPG, PNG, or GIF into a Google Doc (and subsequently a MS Word file if necessary) is a valuable one to have, and integrating it with Google Docs make it even easier to access for everyone.